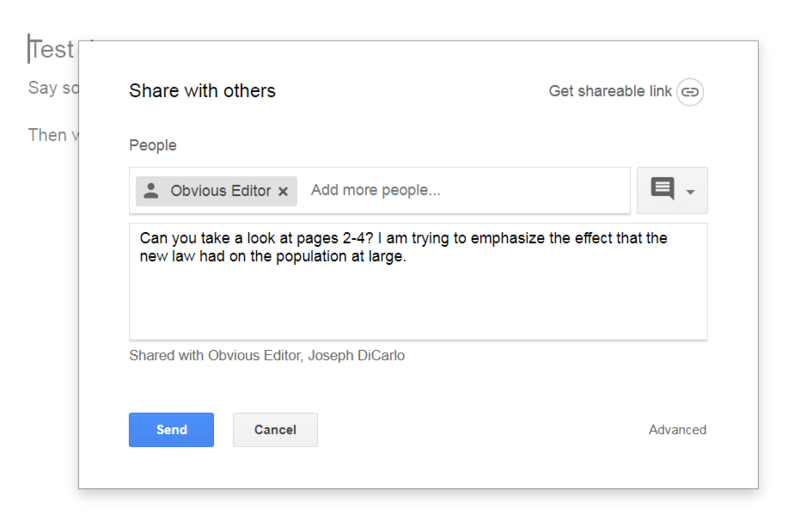 Obvious editors prefer to collaborate in Google docs. You will need a GMail account. You probably already have one. Start a new blank document, or choose a template to help you get started. See the big blue ‘Share’ button in the top right corner? You can invite obvious editors (and friends or colleagues) to view, comment on, or edit the document with you at any time. 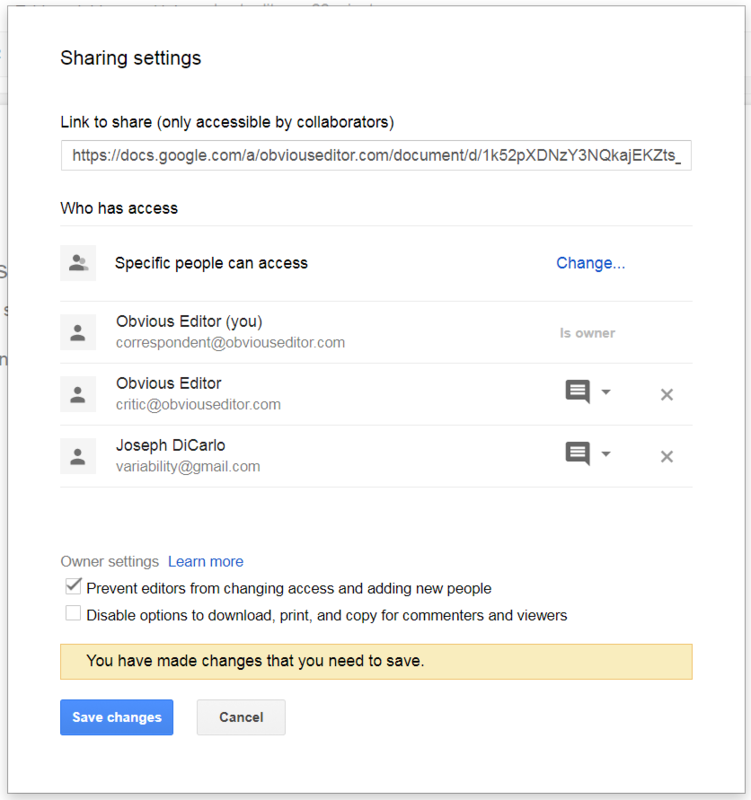 You can use the ‘Advanced’ settings to prevent your invited editors and friends from adding other people, and you can revoke access to others at any time. 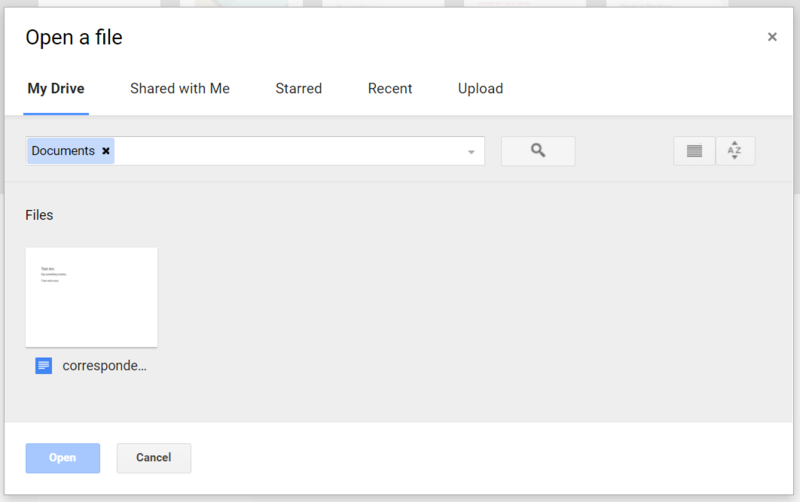 You can find your documents by using the file picker to browse any folders you have set up in Google Drive. The box that appears includes ‘My Drive’ and ‘Shared with Me’. Search for documents you’ve created, and any that have been shared with you, in the search box at the top of the Google Doc homepage.